A couple of weeks ago, we welcomed a quick-witted, data-talking A.I. tool into our store: crystal. crystal quickly impressed Sumo-lings with what she can do with marketing data as well as what she’ll be able to do in the future. Unfortunately, however, we must bid her adieu. And while watching a friend walk out of your life is never easy (or so I’ve been told; I don’t have very many friends), you have a chance to stop her by buying a code before we run out! 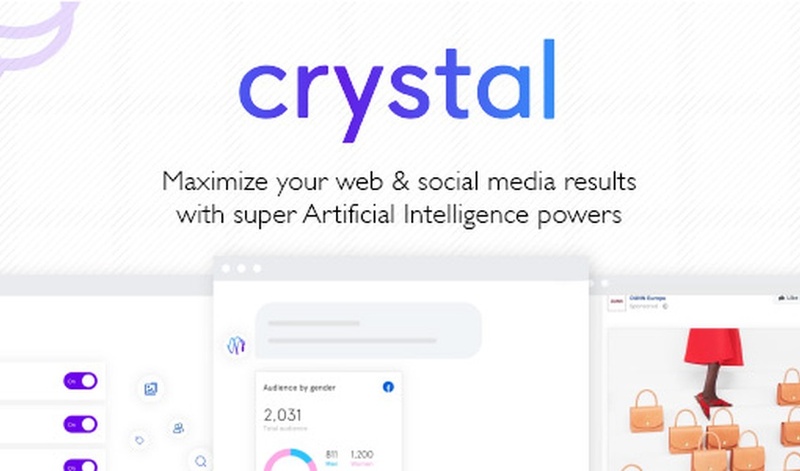 crystal is a powerful, no-coding-required artificial intelligence tool that takes web and social media data and turns it into actionable marketing insights. Sumo-lings, you can get lifetime access to this monster of a deal for just $49! But that’s not all she wrote. Get your codes now before there aren’t any left! Let crystal talk data to you now! 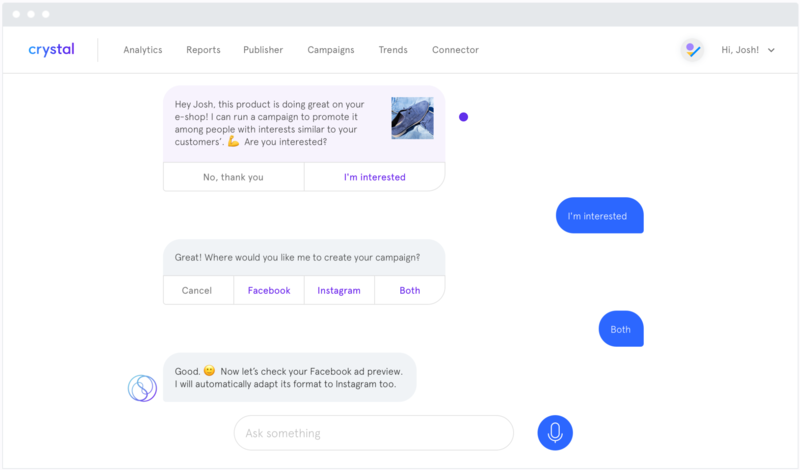 Analyzing your website, e-shops, and social accounts data is simple thanks to incredibly smart A.I. that talks to you like a human. crystal’s A.I. compiles data in real-time and can instantly provide social media insights, marketing advice, and campaign analytics. And the longer you have crystal activated, the smarter she gets. Over time, she’ll be able to automate campaigns with the right content, product, placement, budget, and target. We know you’re tired of staring at your computer screen, pretending to know what your data is trying to tell you. So let crystal decode your data and tell you what all that mumbo jumbo means so you can focus on the important things. Get lifetime access to this great deal for just $49! Understand your data and improve marketing now!